Building Size: 41795 Sq. ft. Multiple buildings on this site. 5200sf building has offices, 3 ton crane, heavy power, 15ft x 20ft wide overhead doors, dock, air compressor, recycled oil burner. The 6,000sf building has heavy power, no bathroom, crane, air compressor and lines three 16ft x 20ft wide overhead doors, radiant heat. 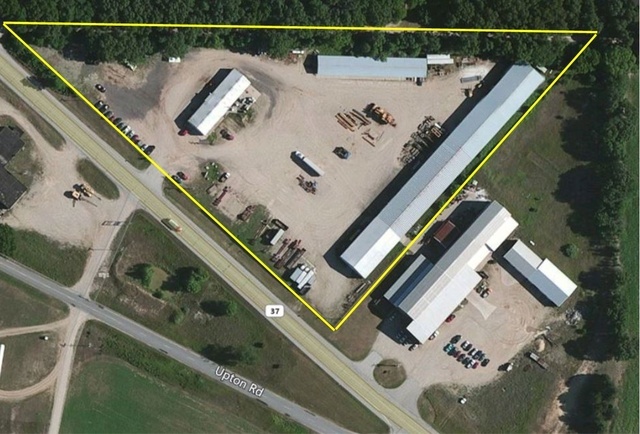 There is 30,000sf of dry unheated warehouse space available on this site with plenty of outside storage. Triple nets around $1.20psf. Site is not paved.